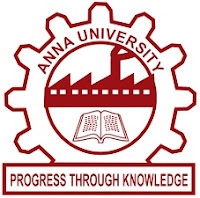 Applications are invited from eligible, interested, suitable candidates for temporary Teaching Post for various departments at College of Engineering, Guindy Campus, Anna University, Chennai - 600 025. Mechanical Engineering and - Thermal Engineering (R & AC). 75% and above in UG and PG. Two years in Teaching / Research / Industrial experience. In case there are more number of applicants, a written test will be conducted to select the candidates. Superscribe the envelope as “Application for the Post of ____________________________________, Department __________________________________. All UG and PG degree programmes should be completed in regular mode only. The actual date and time of interview will be intimated by e_mail or by telephone to the shortlisted candidates. Candidates should appear for the interview with their original certificates and on their own expenses. The appointment is purely temporary and the duration will be six months which may be extended depending on the performance and on requirement basis with periodical break. 6. Selected candidates shall report for duty immediately. The applicant will be responsible for the authenticity of information and other documents submitted. Write the name of the post, on top of the envelope. 10. Duly filled in application along with enclosed self attested photocopies of relevant certificates. For every post separate application is need to be filled. Full address, name of the district and pin code should be clearly mentioned in the envelope. DEAN, CEGC.